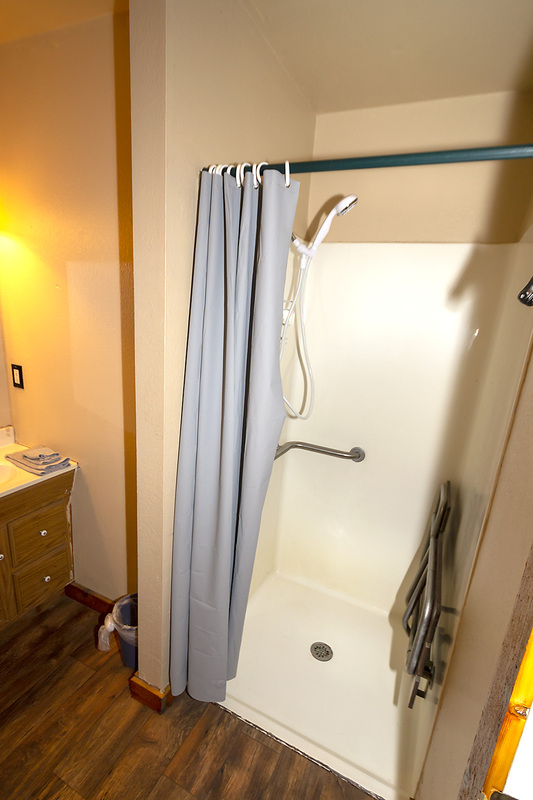 Our Seminole cabin is handicap accessible right down to grab bars in the bathroom and a mounted fold-out teak shower seat. 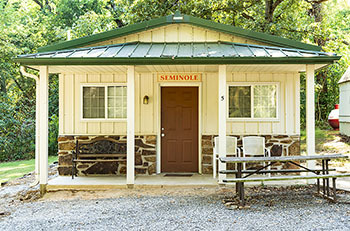 Our newly remodeled Seminole Cabin is well-appointed with all the conveniences of a home away from home. 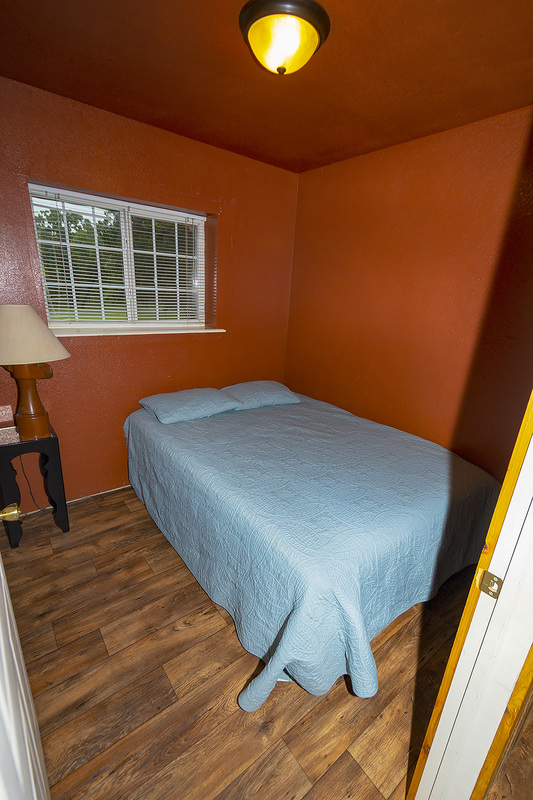 Ideal for honeymooners, families, or a guy or gals fishing trip in the clean forest air. 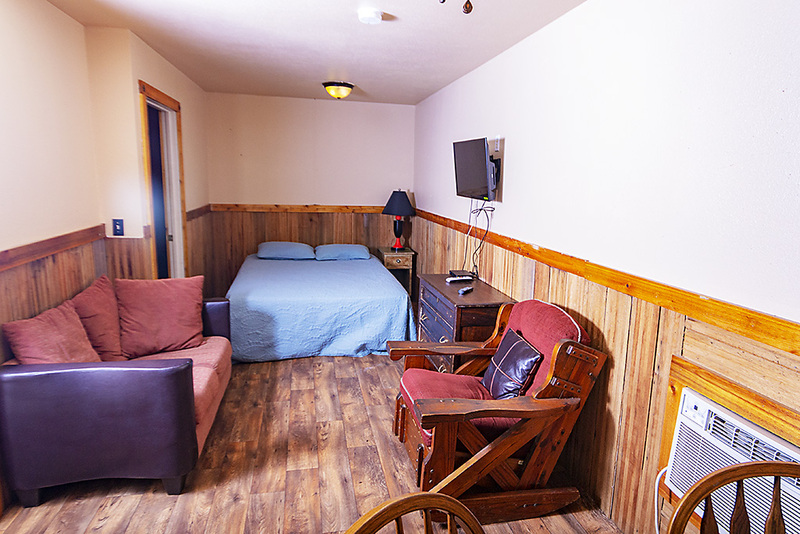 The cabin sleeps 4, with two queen beds; one queen bed is in a separate bedroom. 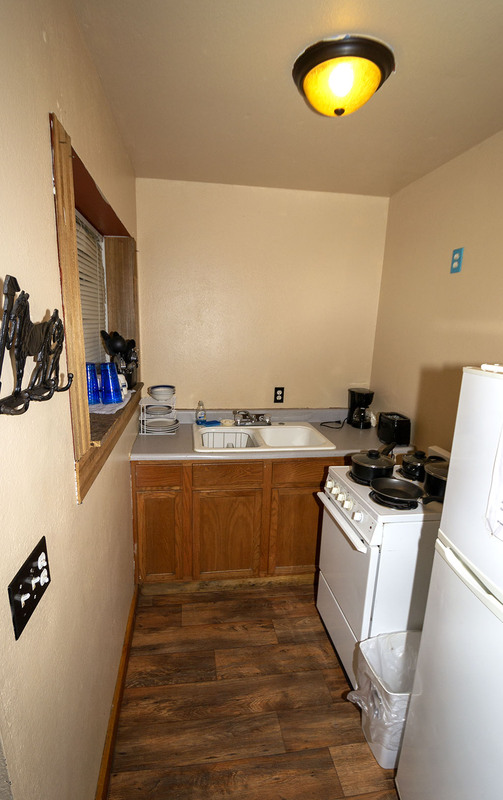 Fresh towels, blankets and sheets, new pots, pans, dishes and utensils, as well as a toaster and coffee maker, full size stove/oven and refrigerator. 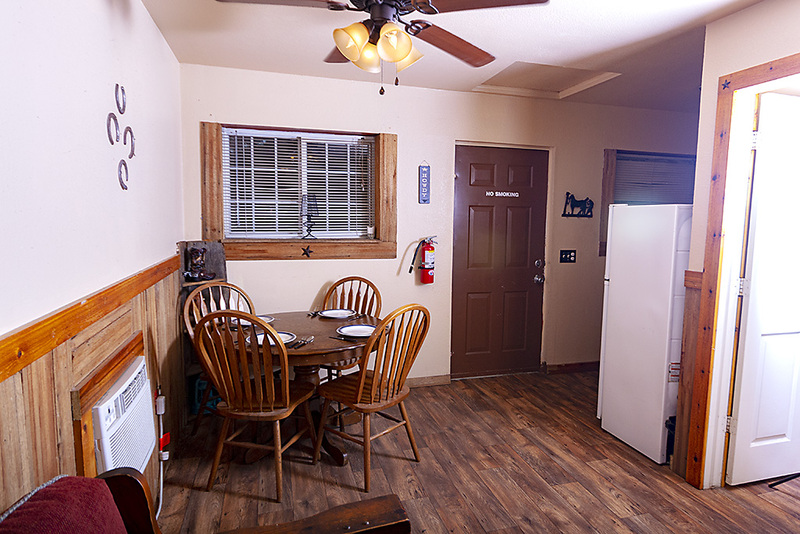 The cabin has a TV and DVD player for quiet nights or inclement weather. 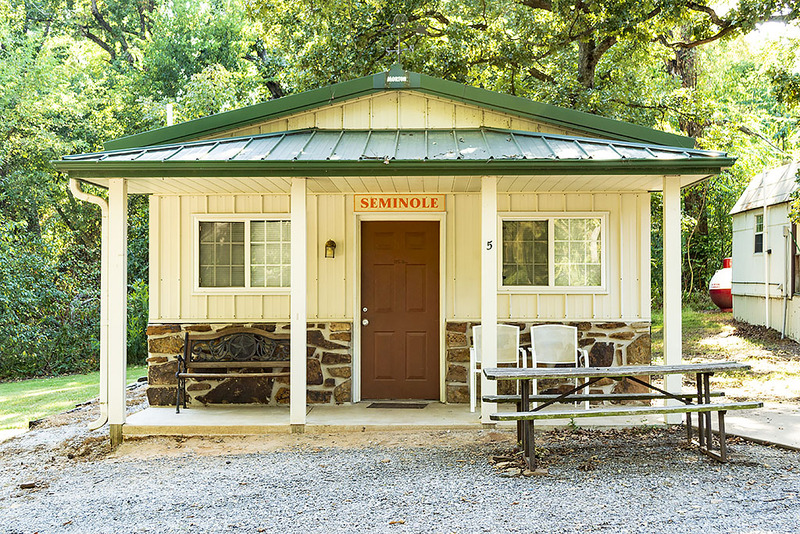 Cabins are air-conditioned; and offer a picnic table for outdoor dining under clear, starry skies. 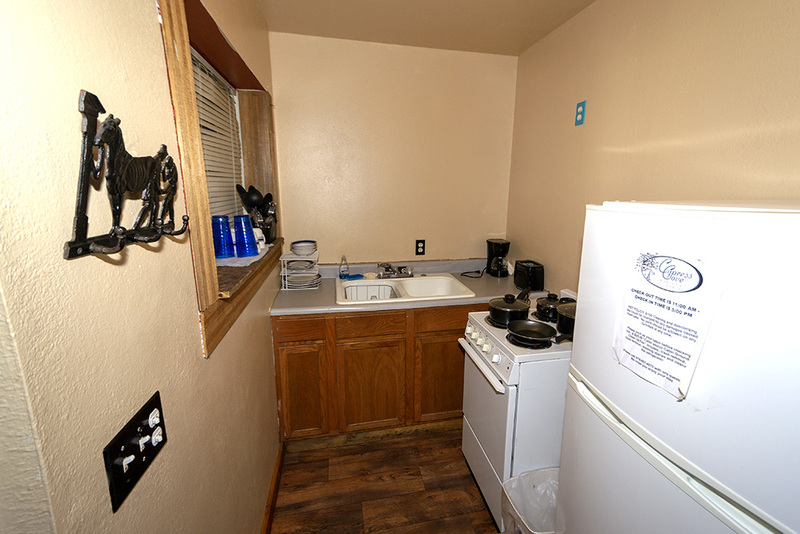 Fire pits and barbecue grills enhance your experience. Order breakfast, lunch or dinner to be delivered to your door from our Giggle Fish Grill if you are not in the mood to cook. 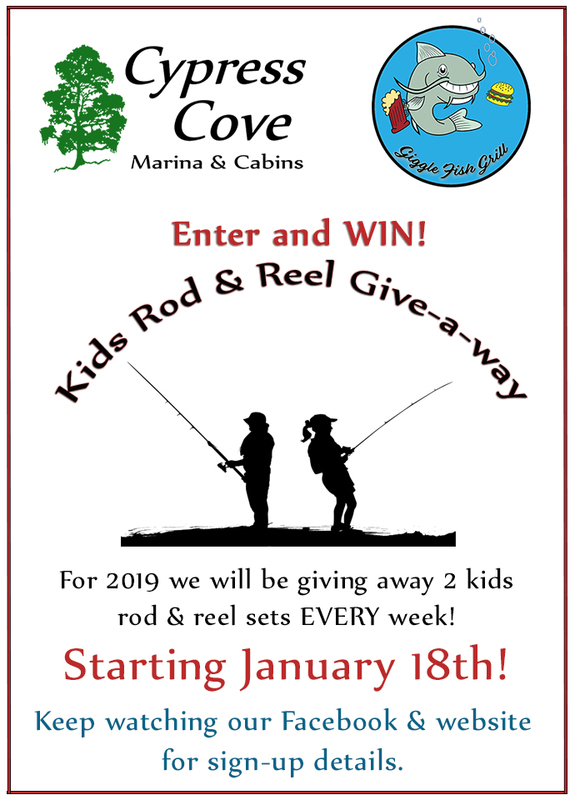 Join us at the Giggle Fish for a meal, live music and a cold beer or wine on Thirsty Thursdays and some weekends; or enjoy the OU game on one of our five big screen TVs. If you’d like to explore the Sequoyah Bay State Park and don’t want to hike, rent one of our golf carts for just $50 per day. Kayaks and a pontoon boat are also available for rent for lake adventures. 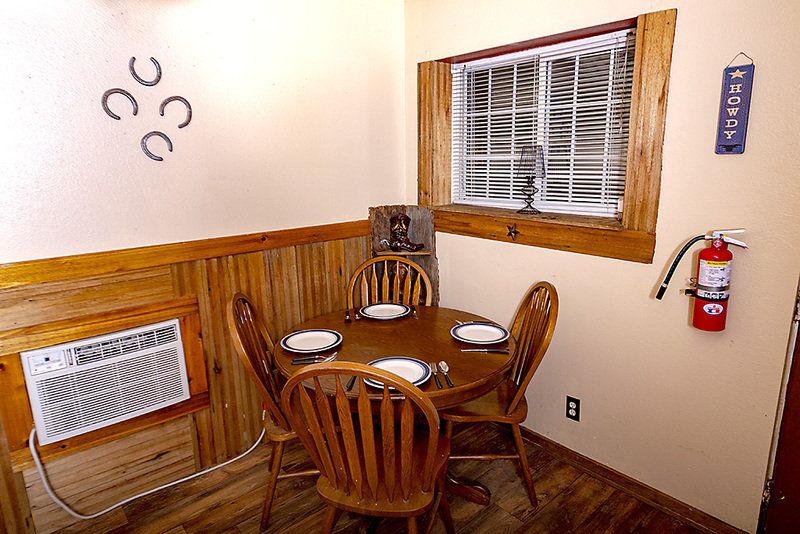 Reserve your cabin today for a week, weekend or month. 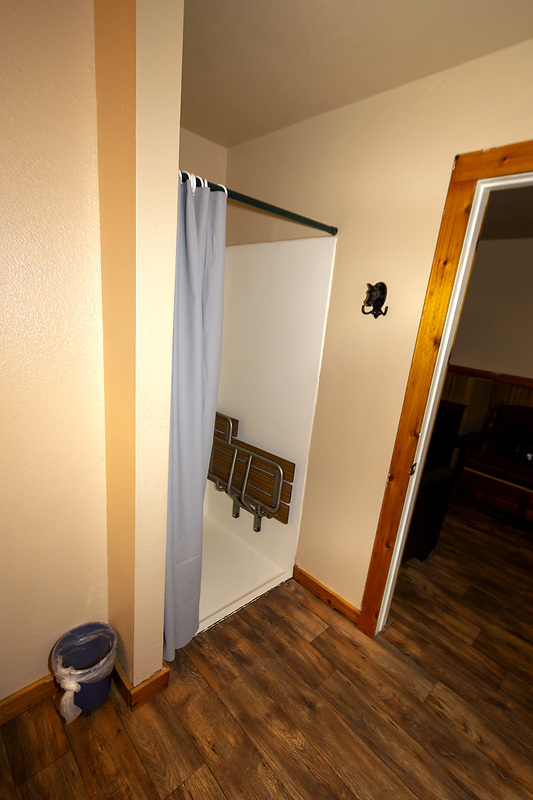 Cabins book up quickly so call us today to reserve your desired dates at 918-687-4073. 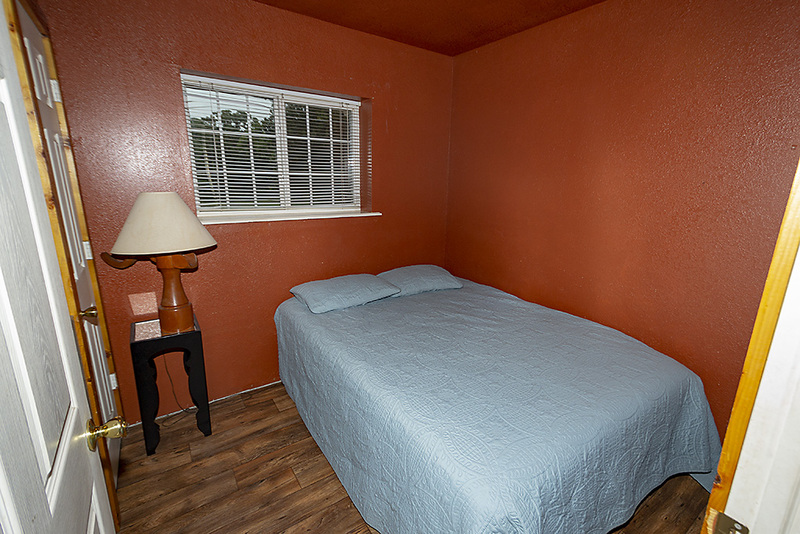 April 15 - October 15 $100 per night with a 2 day minimum rental. October 16 - April 14 $75 per night No Mimimun stay required.